Foodie Friday and today let’s visit a question that was asked of me a couple of weeks ago. If you had one more meal to eat before you threw off this mortal coil and left us forever, what would it be? 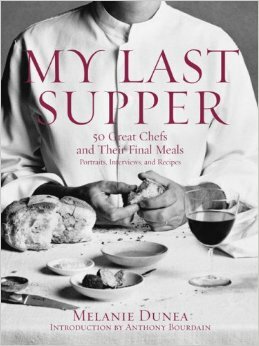 In fact, the same question was the subject of a 2007 book called “My Last Supper” in which it was answered by chefs. There was a lot of foie gras, a lot of caviar; and there was a lot of fried chicken, too. They chefs kind of broke down into two camps. There were the ones that had sort of the memory meals – their mom’s Sunday Gravy, for example – and there were people who went the fancy route of elaborate preparations. What was notable was how often it came down to the ingredients. Generally, they wanted very simple ingredients. I think answering the question does that. Which is the business point today. When you focus on one more meal you reflect of what you’ve enjoyed eating but it’s more than that. I think you get to the root of your own food style – simple vs. complex, technique driven vs. flavor based. You think about what is important. Businesses need to do that too (well, the people who manage them!). The last meal question demands focus. We separate the good from the great. We figure out what’s important. How can that not be an essential part of every businesses plan? I’ve given it some thought and I don’t really have an answer yet. There are so many things I would want one more time. I’m sort of leaning to a meal that’s a composite of some great Italian food and some wonderful Cajun dishes but I’m torn. There was a simple dish of linguine and clams I had in Venice that made me weep (seriously!) that might be a candidate. I’ll keep pondering it. We all should do so for our businesses too – not about a last meal but about what’s important to us. What are the simple ingredients that make our business work? What is our essence? The NYC Marathon is this weekend. I used to be a runner until my knees gave out although the longest race I ever ran was a half-marathon. One thing I learned while running in that and other races was the importance of pacing yourself. We all have a limited amount of energy and it was almost possible to go faster by slowing down as the energy banks were always there when I needed them. Business is a marathon yet sometimes we get focused on the “busy” part that we forget the “better” part. 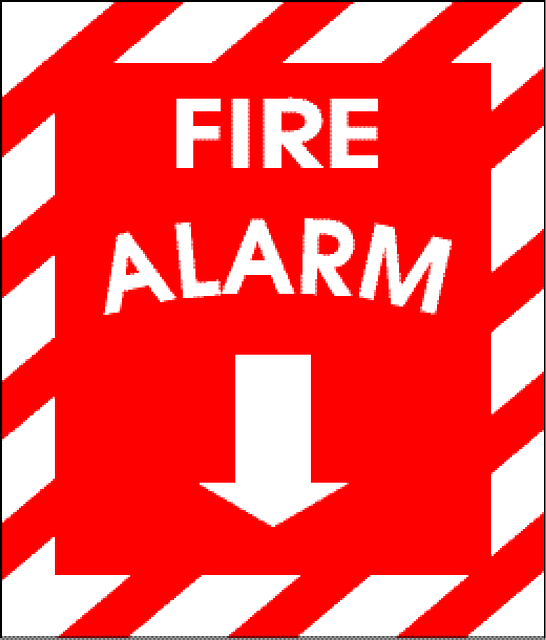 One client’s office has little signs posted with a red circle over a fire alarm. In other words, no fire drills. I like that. The point is to maintain focus on the long-term business goals of the organization (the marathon) and not lighting fires by chasing short-term distractions. It means a focus on process and planning which permits better execution. When someone pulls a figurative fire alarm what inevitably happens is that those processes break down, the work is less than optimal, and often everyone walks away angry. We were busy but we weren’t better. More isn’t always better. I don’t know about you but I’ve cut way back on many of the social media channels I use. 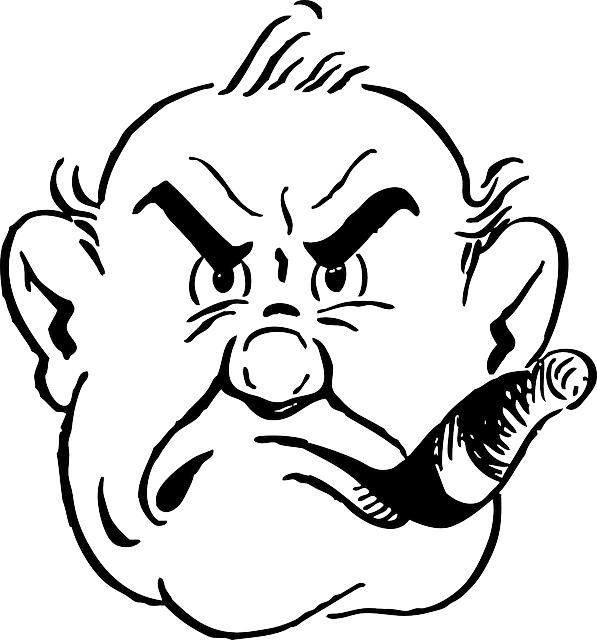 I’ve begun cutting back the number of newsletters I see – many of them were just regurgitating the same news anyway. I want to finish the marathon hand in hand with my clients and not have either of us hit the wall many miles from the finish. I want to be better, and while it’s dangerous for a consultant to say they want to be less busy, I want to be less busy with “stuff” and more busy with substance. Since WordPress hosts me for free, a little giving back is always a good thing. I’m a believer in participating in the process if you’re going to complain about it or keeping your mouth shut if not. As you might have noticed I have a fairly big set of opinions although the political ones don’t show up here. In any event, Election Day is a week off and every one of us should know the basics of where and when we can vote. Given the change (no comment) in voter ID laws in some places, you need to know that as well to be sure your vote gets cast. We’ll be back to the usual ranting tomorrow. No, this isn’t a screed about weight loss. Nor is it a rant about underfed models and bad body images. It’s about Facebook and how it raises a great business point for all of us. The app allows people to create a “room” on any topic. The room can then be customized with colors, icons and photos — even the Like button can be changed. Text, photos and videos can be posted to a room’s feed, creating an ongoing multimedia conversation. Not exactly an original concept. In fact, FriendFeed did something similar several years ago with the same name. What’s different is that the app permits anonymity, something heretofore verboten on Facebook. Frankly, it’s not all that difficult to create a fake identity but that’s a different discussion. Rooms come on the heels of Paper, Poke, and Slingshot. The former is/was a newsreader; the latter two are Snapchat clones. None of the three are successful, at least not in the context of a user base of over a billion. Messenger, another app, is more so but only because the messaging functionality was deleted from the Facebook app proper so it’s sort of a forced use case. That said, I’ve not installed it since it’s way too intrusive in terms of the data it captures (mostly without the user knowing it’s doing so). The app has one star in the App Store – not exactly a home run. The business point is this. Facebook seems to be attempting to be all things to all people. Everything that becomes popular – in this latest case anonymous sharing apps such as Yik Yak and Whisper – prompt Facebook to attempt to release something that keeps users in the Facebook ecosystem. Obviously the need to serve ads to the user bases of those apps drives some of this. When they can’t manage to build it, they buy, as in the case of WhatsApp. I’m not a fan of being all things to all people. I think doing a limited number of things well is a better path. Facebook might be better served to negotiate ad serving deals (and maybe they’ve tried) and partnerships than to flail about creating crappy apps. A business can spread the product mix too thinly, diluting what made it successful and alienating the user base when that dilution affects the core products (Messenger, for example). Foodie Friday, and today it may be a bit of a gross-out fest. There is a thread on Reddit in which fast food workers are asked what should we NOT order at your restaurant? Why not? The responses aren’t pretty. OK, that’s a lie. They’re disgusting. That said, they’re instructive in a few ways, the most obvious of which is that the worldwide megaphone is now amplifies all of the dirty little secrets that once were told from bar stool to bar stool after work. It’s not about trade secrets. Those generally have competitive value. These secrets are things that are worst practices that no solid organization would follow. What struck me was how often cutting corner resulted in unsafe conditions. People not washing their hands, food held at unsafe temperatures, food recycled for days, often transformed from one dish into another, and worse. I will never drink anything in a restaurant with ice in it again after many reports of filthy ice machines that are never cleaned. But it’s not the unsanitary conditions that are instructive. Many of the restaurants mentioned are part of a national chain. Some are franchised, some are corporately owned. IN every case the writer mentions standard set by the parent organization for cleanliness and food safety. In every one of these cases, those standards were ignored. There are a couple of weak links in the chain. The whole kitchen is incredibly organized, and it’s incredible that we can serve the amount of food that we do with so few kitchen staff, so I think that OG’s corporate system(Darden) is pretty good at what they do. I just happen to work at a location with an insane and incompetent manager. I try very hard to stick to our safety standards and common sense safety standards. I am not in charge of any of the meat dishes, pastas or sauces, and while I’ve expressed my concerns to my coworkers who do work these stations, every single one speaks Spanish, and I speak English. Also, to be honest, I’m more interested in maintaining pleasant relationships with my coworkers than reporting them to my manager. It’s not my responsibility to manage the kitchen. In any business, success and failure needs to be a shared thing. Every employee and any level needs to feel invested in that success, certainly enough so that they are unwilling to let safety issues slide or are able to risk interpersonal relationships to move the entire organization forward. The more senior the employee the more critical (as is the weak managers) this becomes. We need to get people to manage themselves well enough that they can take responsibility. Making it happen is something to ponder. There are many things that go wrong in any business and even more that possibly can. Today I want to talk about the biggest mistake a manager can make and how to avoid it. Those of you who are regular customers here on the screed might be thinking I’m heading into a rant on accountability. You’re not far off. People must be held accountable once they’re clear about what their responsibilities entail. That, however isn’t the mistake. Let’s agree up front that stuff is going to go wrong. Even if it’s not totally wrong, things might be done in a more efficient manner or in a way that resonates more loudly with your customers. When whatever it is goes wrong, the first instinct is often to burn (figuratively) the responsible parties at the stake. I’ve worked for managers who would dress down an employee loudly and publicly for an error. Part of the reprimand was often something about how mistakes are unacceptable. Period. You cannot have employees thinking that failure of any sort is bad. Yes, those responsible should be held accountable. They can’t, however, feel free to create, innovate, and push the envelope if they perceive the sword of Damocles hanging over their heads at all times. That’s paralyzing and inefficient. It’s also a sure route to stagnation and failure. The demand we can make is that people learn from whatever the mistake is and not repeat it. I’m very comfortable chastising someone for doing the same thing wrong. I’m less so when they tried, failed, and learned. Good ideas happen because people follow their instincts without second guessing. They speak up loudly when they have a new idea. That’s the kind of environment in which I want to work. You? Let me add something to that to put it in perspective. The August Harris Poll found that 76% of U.S. adults surveyed believe that celebrity gossip and scandal stories receive too much coverage, while 49% believe that entertainment news in general gets too much attention. The kind of journalism practiced by the Post in the Bradlee era is almost dead, having given way to partisan bickering, “advertorials”, and reprinted press releases. The real lesson for all of us in business is the last sentence I quoted: leadership. It is very easy in the realities of business to take the easy road. It’s easy to let a local robbery story go when the pressures to do so from your management, your advertisers, and the Executive Branch of the government are telling you to do so. Bradlee didn’t, nor did he when he decided to print stories based on the Pentagon Papers, a secret Pentagon history of the Vietnam War. That is leadership – doing what is right, setting standards, and inspiring those who work with you to do so as well. “People have got to know whether or not their President is a crook. Well, I’m not a crook.” It might have been at that moment that the notion of trusting one’s president and government fell apart forever. 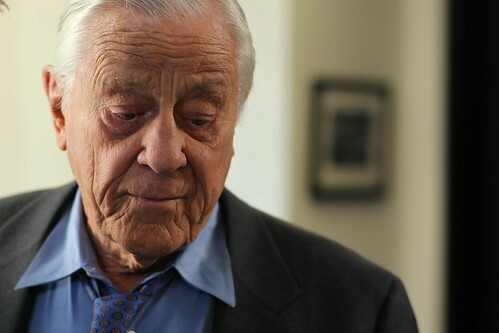 Ben Bradlee and his commitment to excellence and the truth, even if the face of his own doubts and fears, opened our eyes. The business standards he lived by are mostly gone now in his field which is a damn shame. Maybe we can all work a little harder to keep them in our own?